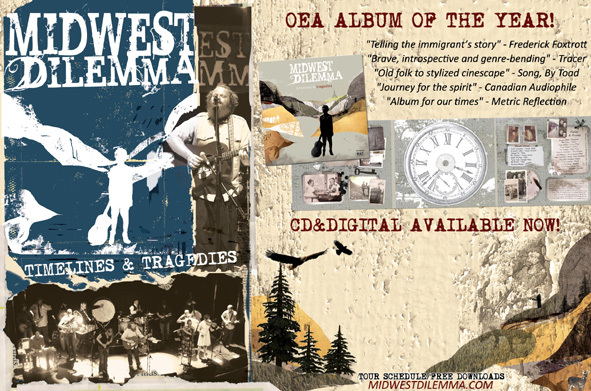 Midwest Dilemma's debut album Timelines & Tragedies was awarded OEA Album of the Year! 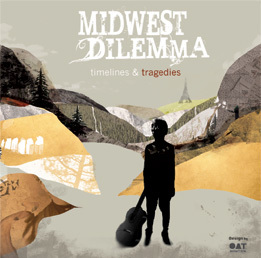 MIDWEST DILEMMA - TIMELINES & TRAGEDIES! Midwest Dilemma has sold out of 2 pressings of the Timelines & Tradegies release. (There may be one more hard copy at cdbaby.com or Homers Music in Omaha, NE) But hey, that's the point! We would rather these be in your hands than us toting them around to each performance. So until this release gets repressed, you can purchase the MP3 version from us below!